Editor’s note: This is the second post in a series informing the public on Electoral offences, you can find the first post here – Punishment for buying and selling voter’s cards. The recent Presidential primaries of the APC and PDP caused some excitement over the last couple of days. Elections are coming closer by the day and political parties are ensuring they present their best candidate before the electorate in 2015. Many Nigerians are also gearing up for the elections as most conversations now centre on the coming elections or the roles being played by any of the many protagonists and antagonists in the political movies playing in Nigeria now. As we all get closer to 2015, its quite important that we all protect out votes and ensure that we report any electoral criminality that we may observe or suspect. 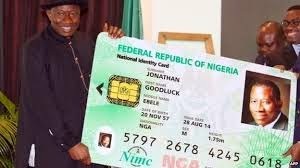 buys, sells, procures or deals, with a voters card otherwise than as provided in the Act: commits an offence and is liable on conviction to a maximum fine of N1,000,000 (One million naira) ir imprisonment for 12 months or both. From the abovce provisons of the law, it is obvious anyone caught commiting such criminality will have some explaining to do and possibly some jail term to serve or fine to pay, thus it’s important no one participates in such acts. Please share this article with as many people as you can to discourage electoral offences.